Click Here to get a quote specifically designed for you! This Insurance Agency was first founded by Walter D. Bailey in 1928. Walter sold insurance out of his home in Howard County. 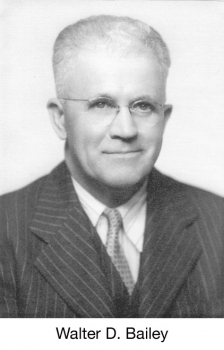 Later Walter transferred his business to his son-in-law; Munson P. Brewster. And Munson opened an office in Burlington, Indiana. 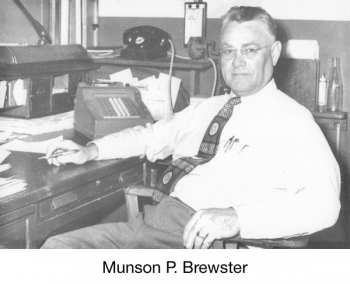 Munson's son Walter E. Brewster joined his father in the agency in 1951. Then in 1958 the agency was incorporated as Brewster Insurance Agency, Inc.After Munson's death, Walter (Ed) ran the agency on his own for many years. 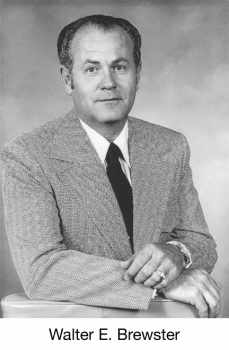 In 1969 Ed was honored by the Indiana Farmers Mutual Insurance Company as that year's "Agent of the Year." Through the years Nina Brewster worked in the agency as an assistant to her son Ed and owned an interest in the agency. Gene Matthews joined the agency in 1974. Ed & Gene became partners in 1975 and were partners in the agency for 20 years. Carla Brewster began following in her father Ed's footsteps in 1985 when she joined the agency. The Brewster Insurance Agency welcomed Larry Fellows into the business in 1991. In 1996 Ed & Carol Brewster, Gene & Virginia Matthews and Nina Brewster sold their interest in Brewster Insurance Agency, Inc. to Carla Brewster, Larry Fellows and Jay Bordner. Larry Fellows retired from the agency at the end of 2012 and sold his shares to Jay Bordner, Carla Brewster and Cindy Gangwer. The Brewster Insurance Agency, Inc. pledges to continue providing insurance coverage and quality service to its customers and the community which is the hallmark of this Agency.